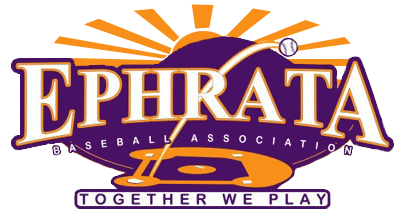 My name is ____________________ with Ephrata Baseball and our team is raising money for the upcoming season. We've put together a Gold Ticket with 1 time use discounts at some of the best places around town and for a $20 donation, you have all year to redeem them. We accept cash or check (made out to the EBA). Thank you and your support is greatly appreciated. When do they expire? They expire in April 2020 so you have 1 year to take advantage of the offers from the 12 supporting businesses. How many do they need to sell? Each player that didn't opt out of the fundraiser is encouraged to sell a minimum of 5 cards for $20 each for a total of $100. However, we are also offering prizes starting at selling 10 cards that include socks, slides, hoodies, $100 Dicks Sporting Goods gift card, and top team prizes. Top Team with min 100 sold qualifies for 1 top team prize of $100 cash for team event.